Known as the Beehive State, Utah is the 13th biggest state in the US and became a state on January 4 of 1896. It was the 45th state to become a part of the US. The state is located in the western half of the United States and is thus located in the Mountain Time Zone. Utah is one of five states that are entirely contained within this time zone, while ten other states are also partially included. The state of Utah is well known for its diverse array of landscapes and wildlife, featuring a huge mixture of geological backdrops from canyons to wetlands, forests, deserts, and more. Several of the US' most scenic national parks are located in Utah, which boasts over 95,000 acres of parkland in total. The biggest city in Utah is Salt Lake City, which also doubles up as the state's capital and has a population of around 190,000. The Salt Lake City metropolitan area is also the largest in the state. The state of Utah is well-known as the headquarters, and prime location of the Mormon Church, with over 60% of all Utah residents reported to be members of this particular faith. Mormonism has a big influence on life and culture in Utah, which is the only state to have a majority of its population involved in one church. 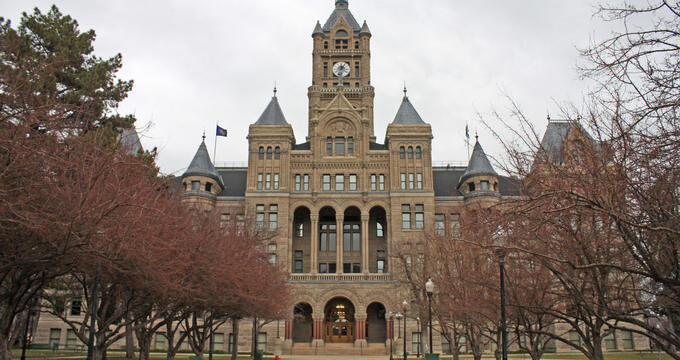 As well as its religious past, Utah has a fascinating history, being explored by the Spanish as far back as the 1500s before being settled in later centuries. Utah doesn't have one of the biggest economies in the US regarding its gross domestic product, but business in the state has been growing at an impressive rate in recent years. Mining and petroleum production have been major industries throughout the state of Utah for many years, while tourism is also a big provider of income for the state. People visit Utah from around the world for its areas of natural beauty, with the state boasting several national parks, national monuments, ski resorts, ranches, and more. Due to the heavy presence of the Mormon Church in the state of Utah, residents of the state tend to describe themselves as being very religious. Utah is also the top state in the US for donations to charity because Mormons give 10% of all of their earnings to the church by default. It wasn’t until 1883 that time zones were properly laid out and introduced in the United States. Before then, citizens used the sun to tell the time. As the country and technology developed, this became more of a problem, especially as the railroad network around America started to spread and people needed to travel and communicate more frequently. To make everything more organized and manageable, the four major contiguous time zones – Pacific, Mountain, Central, and Eastern – were introduced into the US in November of 1883. At this time, the entire state of Utah was placed in the Mountain Time Zone due to its geographical location in the Western half of the United States. The Mountain Time Zone (MT) covers all of Utah. Like other time zones around the US, Mountain Time comes in two forms: Mountain Standard Time (MST) and Mountain Daylight Time (MDT). MST is used from November to March of each year and is six hours behind Coordinated Universal Time (UTC). MDT, meanwhile, is used from March to November and is just five hours behind UTC. MDT, as the name suggests, is used during periods of daylight savings time. As well as Utah, the Mountain Time Zone covers the entirety of Colorado, Montana, Wyoming, and New Mexico, as well as applying partially in ten additional states including Texas and Arizona. Mountain Time is also observed in various territories and provinces of Canada and several states of Mexico. All of Utah uses daylight savings time. Almost all of the US states have utilized this system for many decades now, beginning in 1966 with the Uniform Time Act, which was introduced to help save energy and adjust to shifting sunrise and sunset times around the nation. In 2005, the dates of the daylight savings time were adjusted to make this period last even longer. Since then, the state of Utah has observed MDT from the second Sunday of March to the first Sunday of November each year.